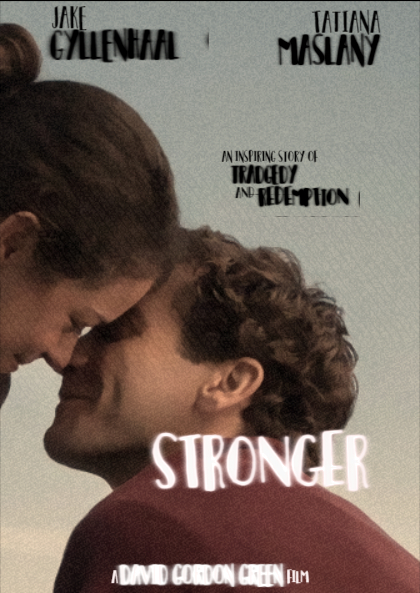 Stronger is a forthcoming American drama film directed by David Gordon Green and written by John Pollono, based on the book of the same name by Jeff Bauman and Bret Witter. It stars Jake Gyllenhaal, Tatiana Maslany, Miranda Richardson and Clancy Brown. It follows a man who loses his legs in the Boston Marathon bombing and must adjust to his new life. It is scheduled to be released on September 22, 2017.